Once my daddy's area of the Netherlands was liberated by American troops he enlisted in the Army. I only have a few pages of the photocopies of his enlistment papers scanned and translated so I will put those online now and add the others at a later date. My friend, who translated the documents for me, was unsure of what some of the words were and therefore put a question mark (?) so if anyone can tell what the information should be please don't hesitate to let me know. If you want to see a larger, more readable, copy of the documents just click on the one you want and a larger copy will open in a new window. 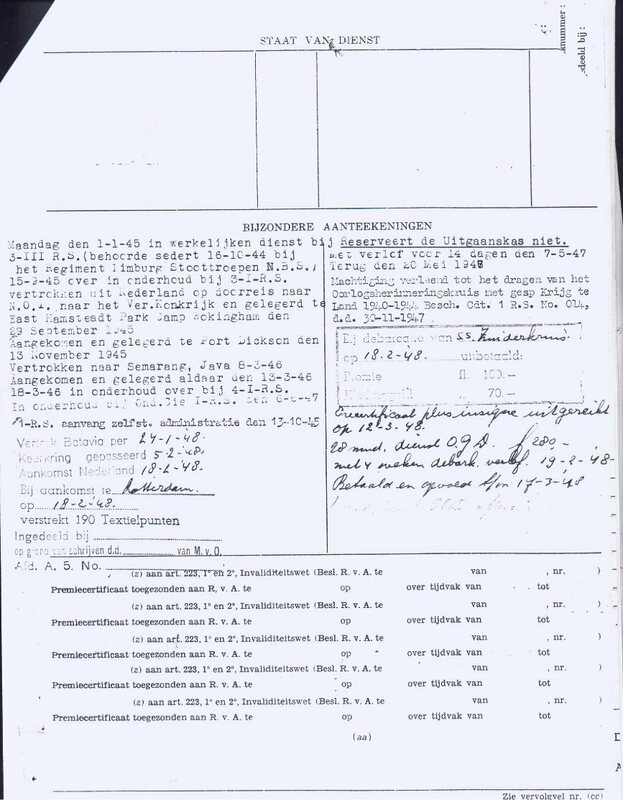 Regiment Limburg Stoottroepen N.B.S. )in reality. 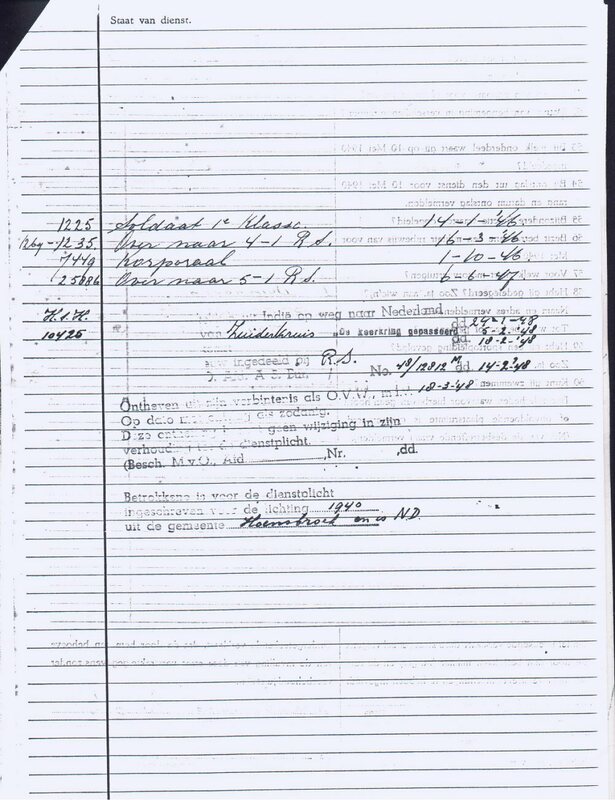 15-9-45 transferred to 3-1ST R.S. Land 1940-44 by Commander I-R.S. 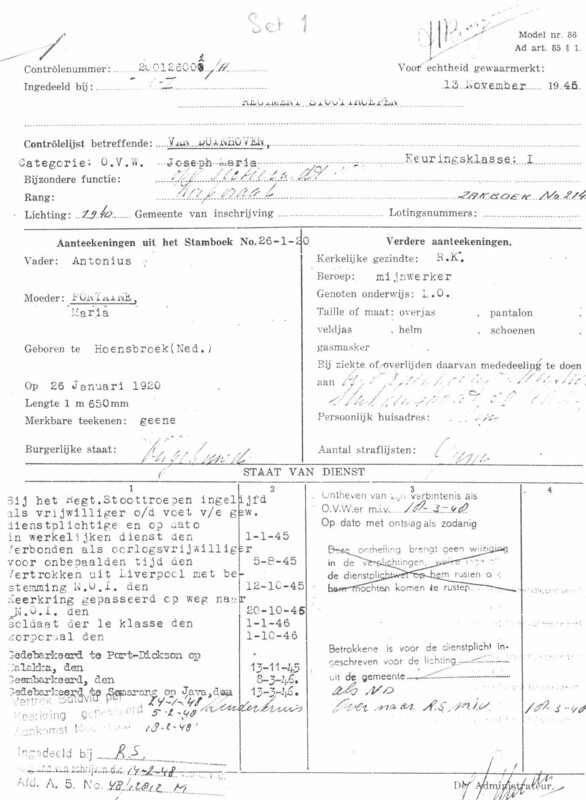 Concerning consrciption for the year 1940 In the area Hoensbroek.